NOTE: Goldendale Observatory is being demolished in preparation for construction of a new, larger facility. The information on this page is for historical reference only. ​Goldendale Observatory State Park is open year-round and provides uniquely informative and entertaining space/science experiences for visitors young and old. Check the visit and telescope pages for showtimes and other useful information about the popular programs listed below. 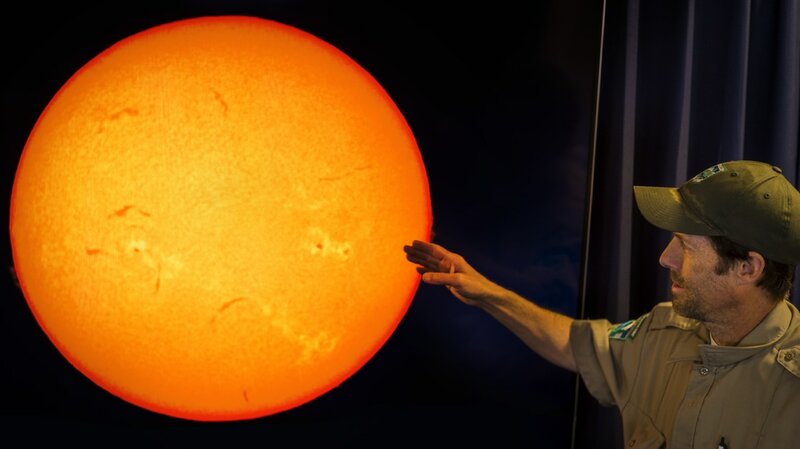 Parks Interpreter describing solar activity on a live HD telescope feed. ​​​​​Every afternoon, visitors are treated to an insightful lecture on the surface features and inner workings of our local star, the Sun. This one to two hour long show includes some of the highest resolution and contrast live views of the Sun you will see at any public observatory or science center in the world. By the end, you will understand the stars! 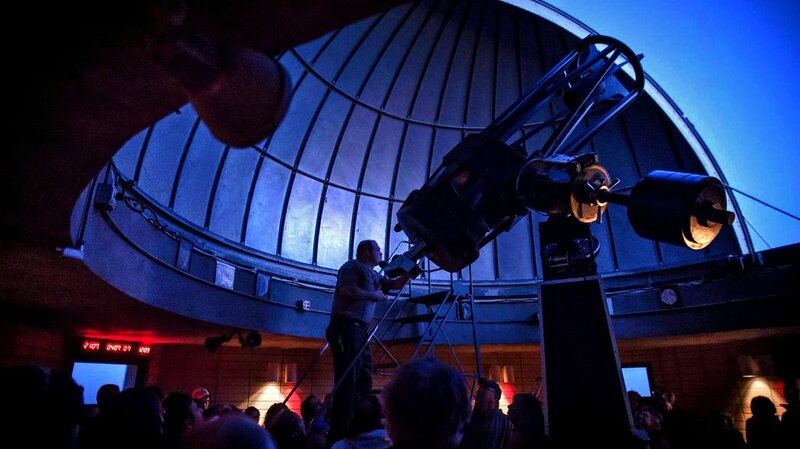 The "main event" that put Goldendale Observatory on the map: For one to three hours, visitors have their astronomy questions answered by expert staff while touring the stars outdoors and viewing space objects through the eyepiece of one of the world's largest public telescopes. Bring some curiosity... and a jacket! Crowds gather in the South Dome as the primary telescope is powered up.